Wishing you all a Happy Sunday! 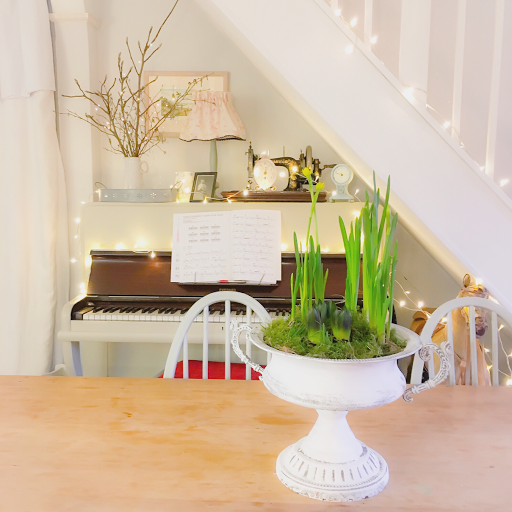 Here's a pic of my vintage urn that I've planted up with mini daffs and hyacinths. The urn was originally black and I'd kept it like that for a few years before deciding I'd had enough of the dark and wanted something light. I'm really pleased with the results. It's starting to flower now so I'll start sharing some more snaps of it this week. I hope January is being kind to you.